The Leadership Class of 2018 from The Stillman School of Business met with Joe Sheridan, a University Regent and the COO of Wakefern Food Corporation (owners of ShopRite). Sheridan presented the group with two useful books, Not Quite What I was Planning: Six Word Memoirs and The Five Temptations of a CEO. The Leadership class consists of Members of the Leadership Development Honors Program. These students are prepared to be future global leaders. This is accomplished by an intensive program that exposes students to a unique framework of diverse experiential and scholastic learning that allows them to stretch themselves to achieve their fullest potential in their professional and personal life. Participants in the leadership program are guided through executive mentoring and coaching, strong academic and experiential development, the Leadership Code of Conduct defining the principles and values by which all members live and focus on servant leadership provide an environment and culture of performance excellence. 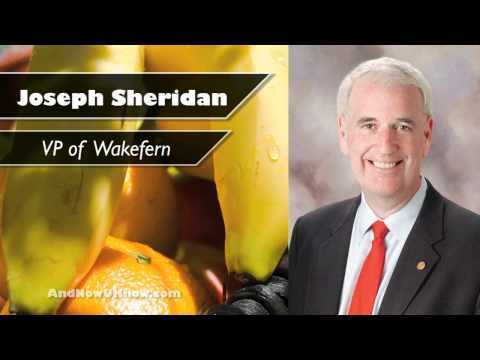 During the meeting with Sheridan, the team asked questions about Wakefern Food Corporation and Sheridan’s career choices. Sheridan discussed how ShopRite is able to stay one step ahead of its competitors and he delved into how they manage their stores and employees. The team learned that he started working for Wakefern in their warehouse department and soon climbed up the ladder to become the Chief Operating Officer. Sheridan also shared how his 30 years of working at Wakefern, had made a positive impact on his life. He also shared the family message that the owners of Wakefern and ShopRite cultivate.